Imagine living a quarter of a millennium. What changes would you see in the world? How many times would you marry? How many children would you have? With today’s medicine and technology, it might be feasible that someone born today might live up to 150 years, yet on May 6th 1933 a man named Li Ching-Yuen died, surviving 23 wives and 200 descendants, reportedly at the age of 256. There is documented and anecdotal evidence to support that he has certainly lived for almost 200 years, and before that it’s understandable that records are hazy. 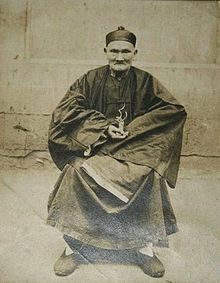 Li Ching’s answer to living such a long life? But there may also have been another factor: Li Ching-Yuen was a herbalist, and cited a widespread and common Asiatic herb, Gotu Kola, as a factor in his longevity. He would eat two fresh leaves each day, without fail. Gotu Kola, not to be confused with the kola nut, has been in use as an Ayurvedic and Chinese medicine for millennia. Its uses worldwide over the centuries are widespread. It is used to treat bacterial, viral, or parastitic infections such as urinary tract infection (UTI), shingles, leprosy, cholera, dysentery, syphilis, the common cold, influenza, H1N1(swine) flu, elephantiasis, tuberculosis, and schistosomiasis. Gotu kola is also used for fatigue, anxiety, depression, psychiatric disorders, Alzheimer’s disease, and improving memory and intelligence. Other uses include wound healing, trauma, and circulation problems (venous insufficiency) including varicose veins, and blood clots in the legs. Some people use gotu kola for sunstroke, tonsillitis, fluid around the lungs (pleurisy), liver disease (hepatitis),jaundice, systemic lupus erythematosus (SLE), stomach pain, diarrhea, indigestion, stomach ulcers, epilepsy, asthma, “tired blood” (anemia), diabetes, and for helping them live longer. 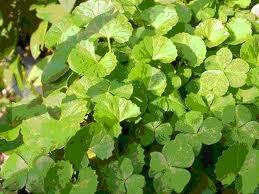 Some women use gotu kola for preventing pregnancy, absence of menstrual periods, and to arouse sexual desire. Quite a haul, for one modest-looking swamp plant. There are several ways to get this herb into your system, the best of which is to grow a tub of it in your back garden and eat it fresh in a salad each day. Two leaves, according to Li Ching, are the optimum dose. You can also take the dried stuff in tea. A regular intake of this herb is reputed to increase longevity, rejuvenate the body and mind and improve and tone up the memory.